I love it when tube stations are being refurbished and old posters are uncovered before the new LCD panels go up in their place. 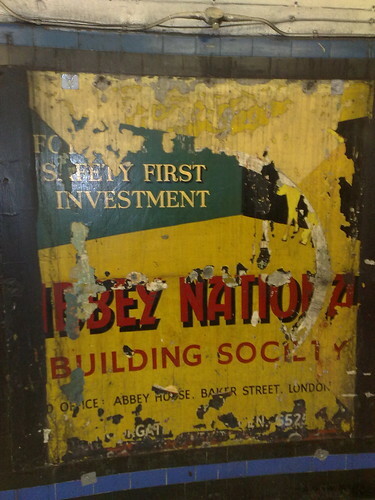 Yesterday evening I saw this wonderful Abbey National poster from goodness knows when (it looks quite old to me even if the colours are quite vivid). I suspect that Abbey wouldn’t use quite those words today in its advertising.